In business, it’s often said that ‘recognition is the greatest motivator’. At Allen Concrete, recognising and rewarding long service is an important part of our culture. We believe that having a workforce that is driven and motivated leads to the very best standards of work in every job, as well increased staff loyalty. When we bought Allen Concrete last year we wanted to do something to recognise the efforts of our long-serving staff. 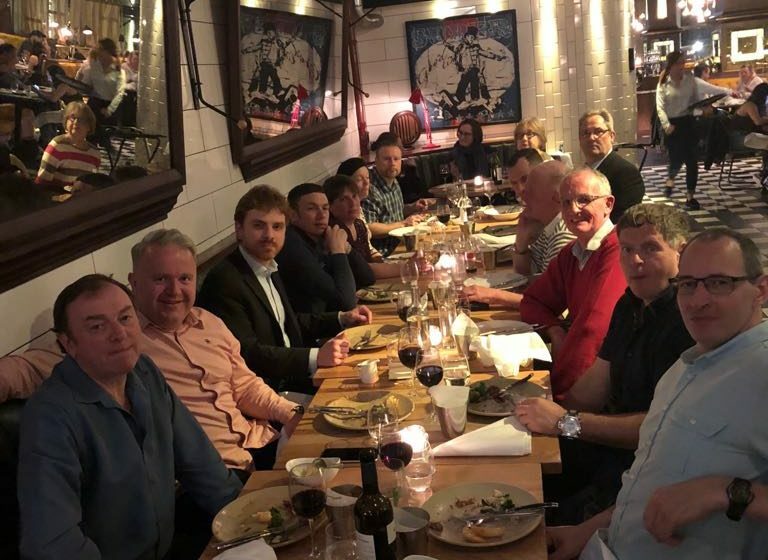 So, last month we took twelve of our most experienced employees for a night out in London with our Managing Director, Michael Roddy, and Max Vermorken, CEO of SigmaRoc. Over 50% of our entire workforce has been with us for 15 years or more, meaning they have the knowledge and experience to produce the best quality precast concrete that you’ve come to expect from us. If you require precast concrete fencing solutions contact us on 020 8687 2222 (Surrey branch) or 01933 276848 (Northants branch) or email sales@allenconcrete.co.uk.